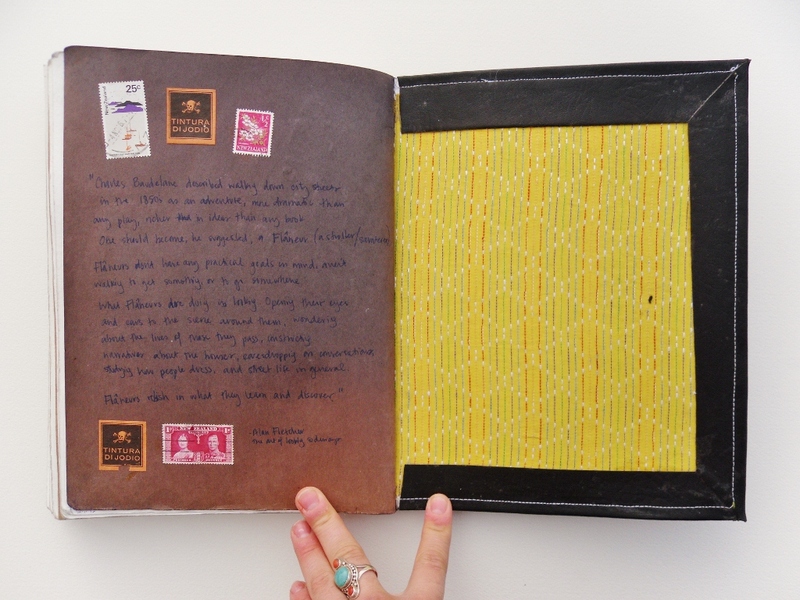 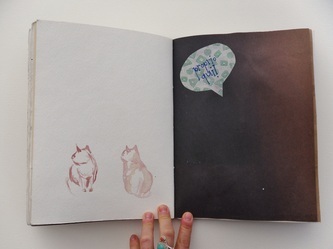 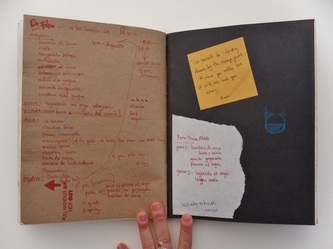 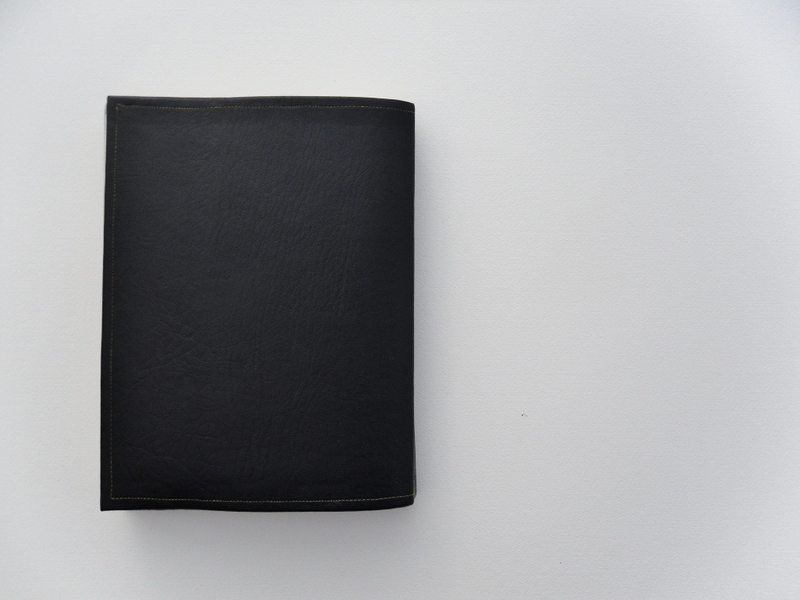 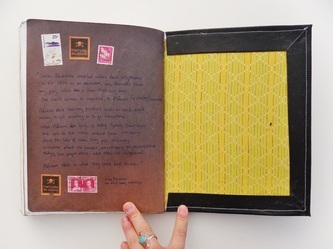 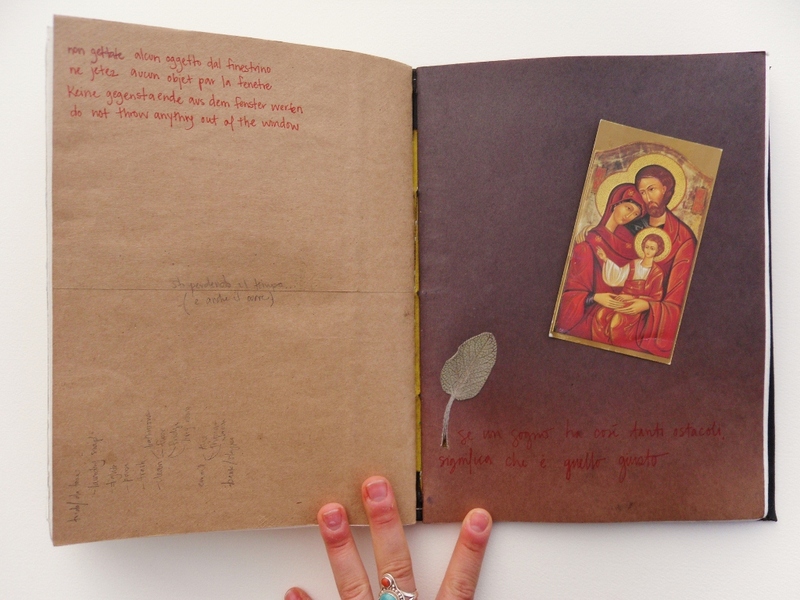 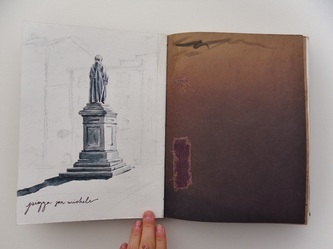 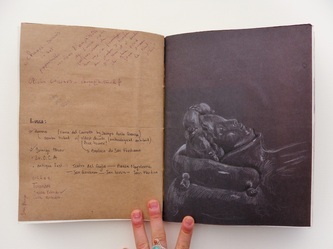 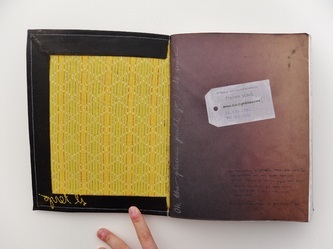 Il Terzo, "the third" in Italian, is a hand-bound sketchbook I made with an assortment of different kinds of paper to accommodate a variety of media. 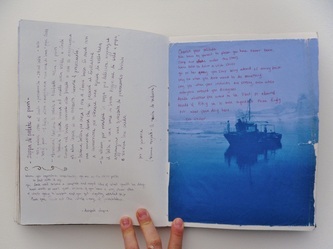 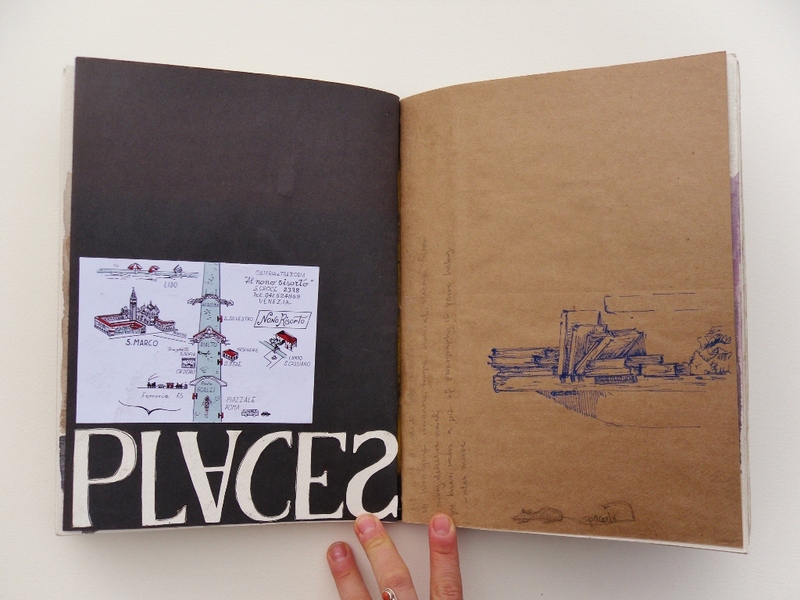 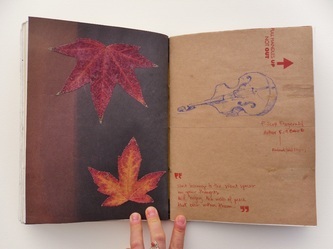 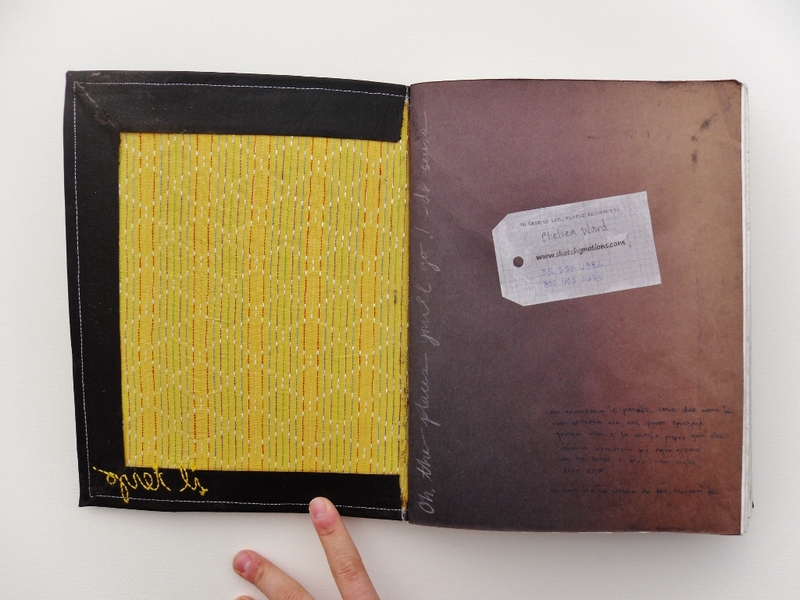 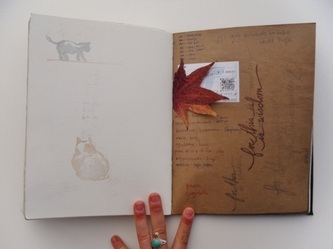 There are 7 signatures inside, each with 4 folios of either watercolor, paper bag, printmaking, scrap or black paper. In total, 56 pages and 112 front and back. 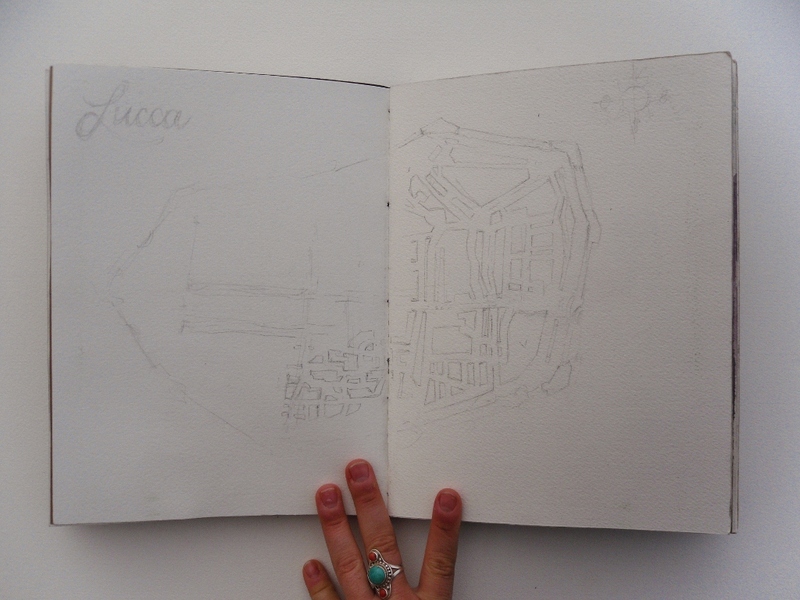 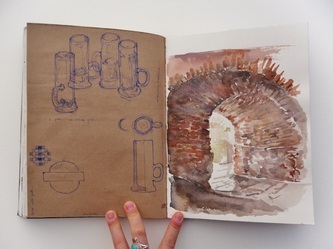 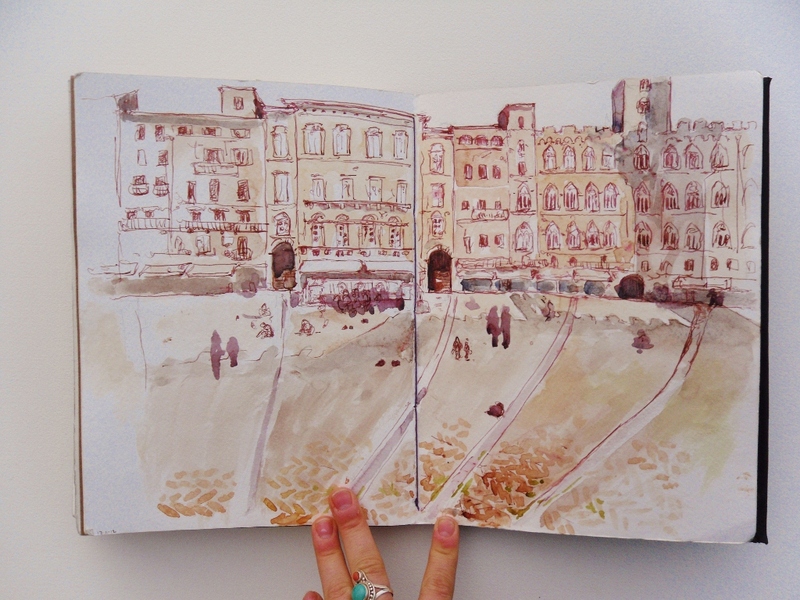 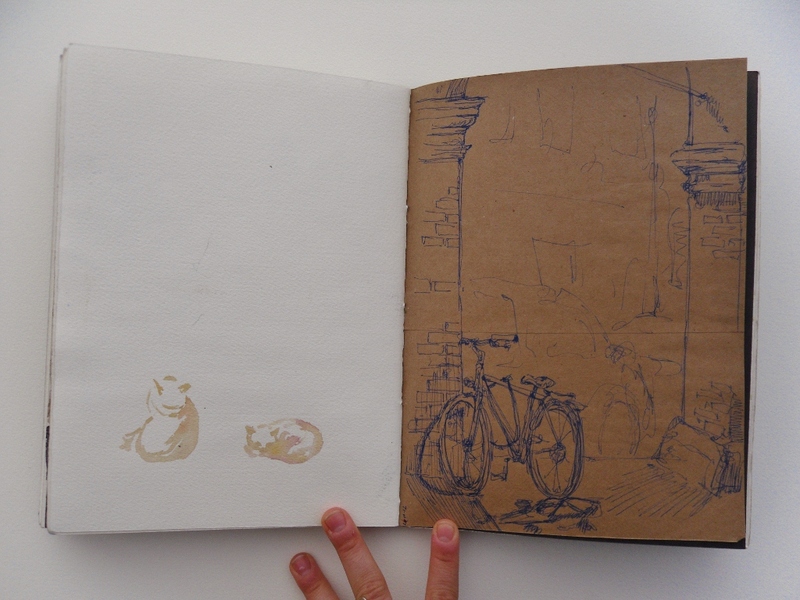 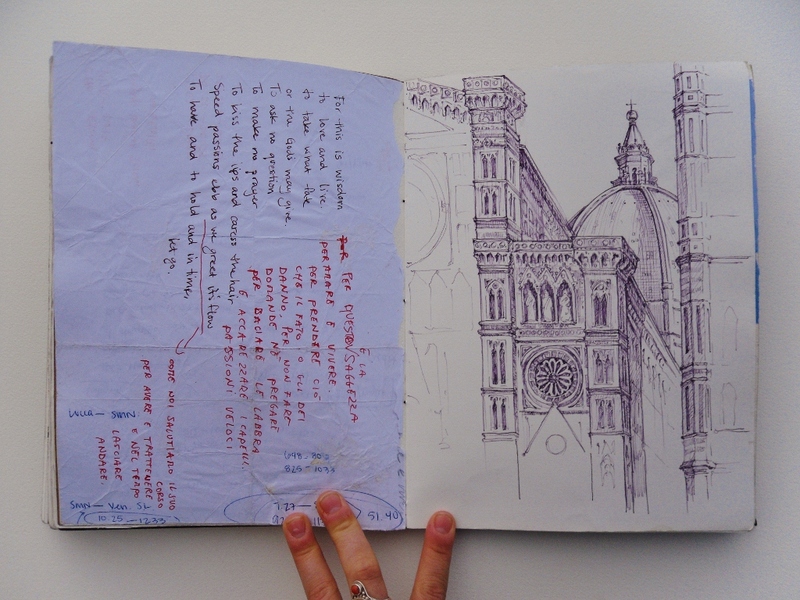 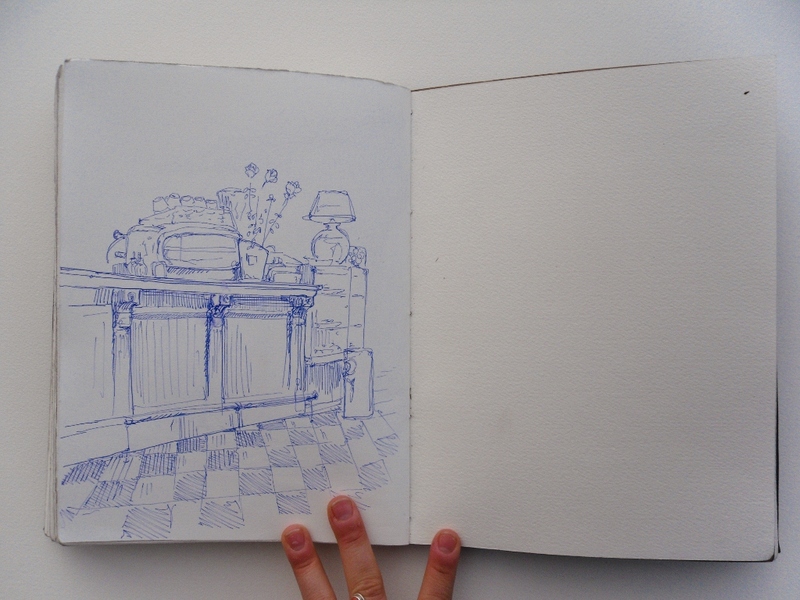 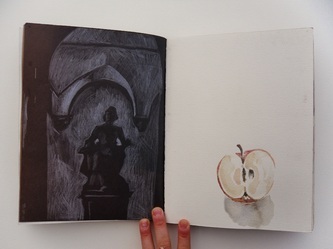 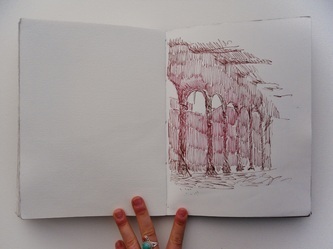 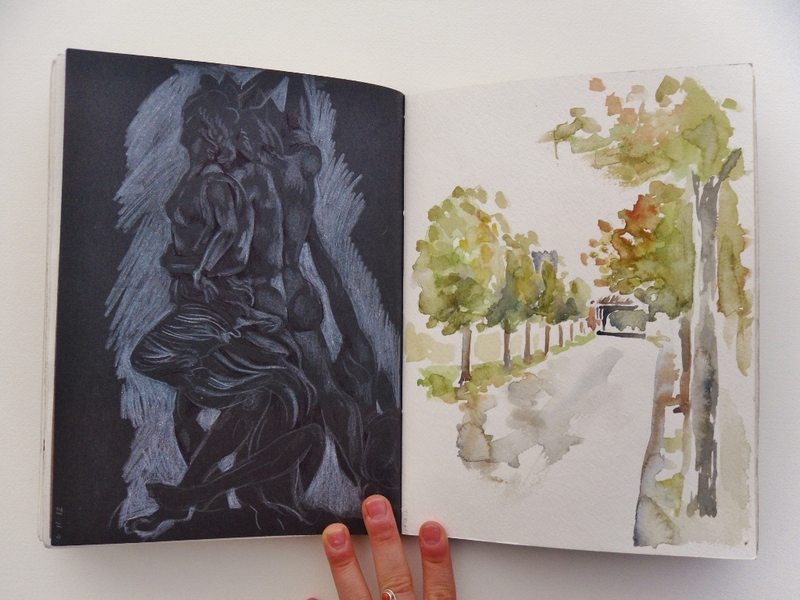 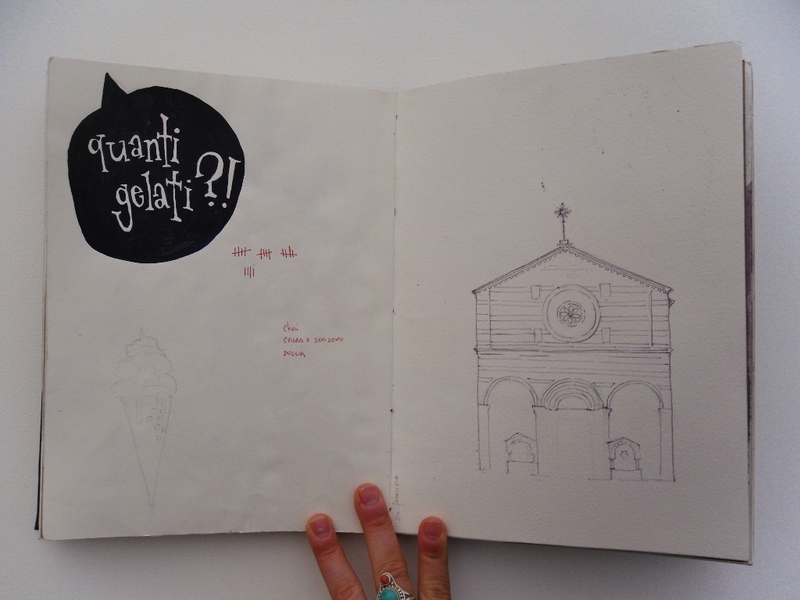 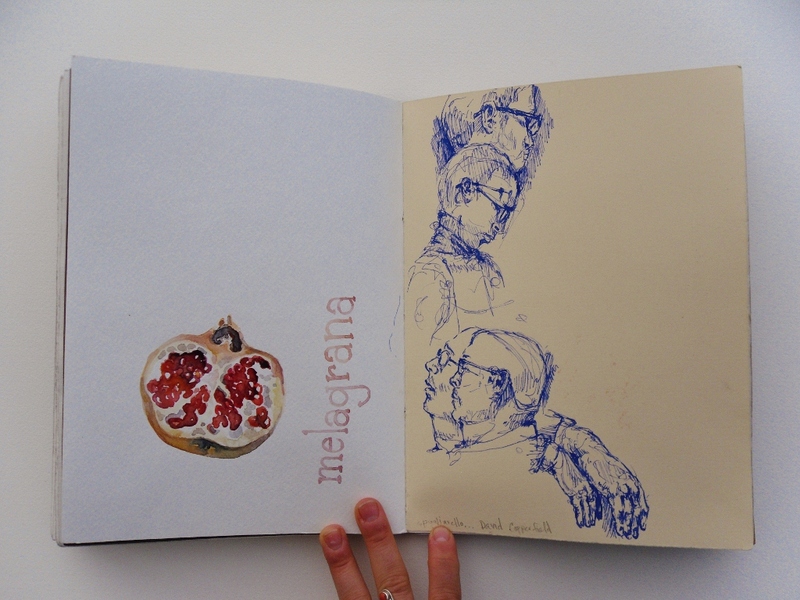 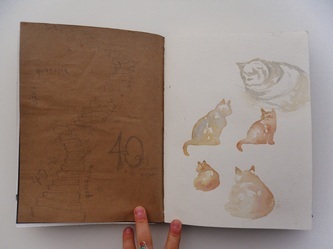 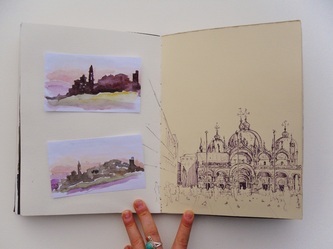 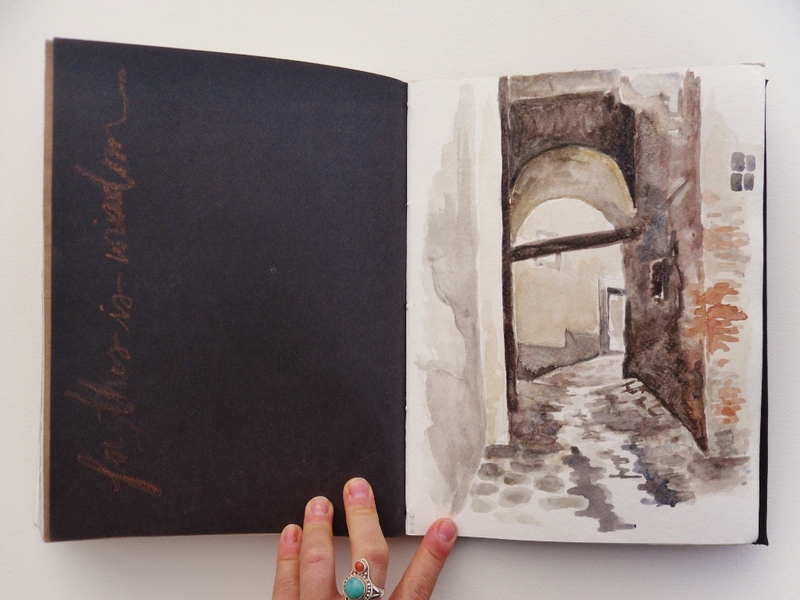 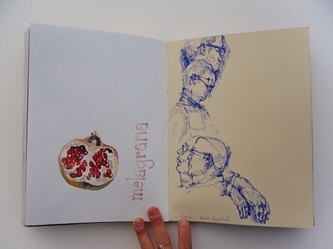 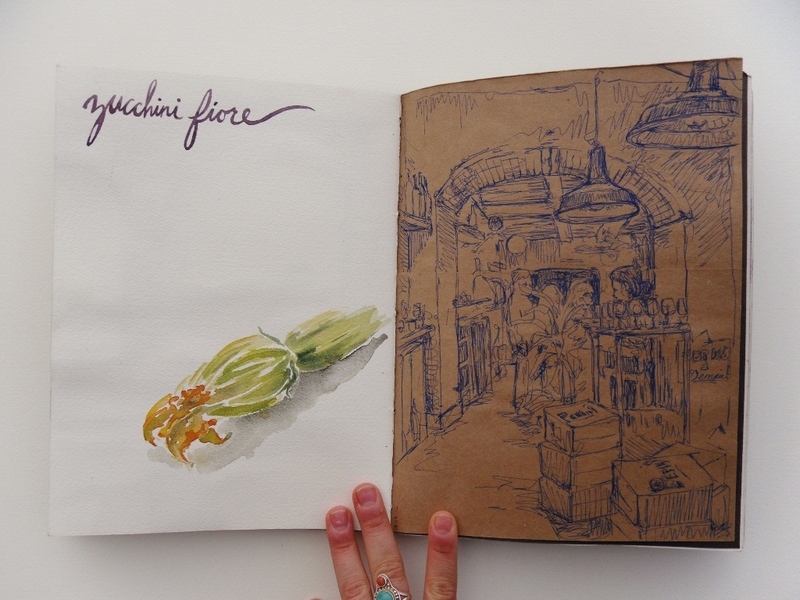 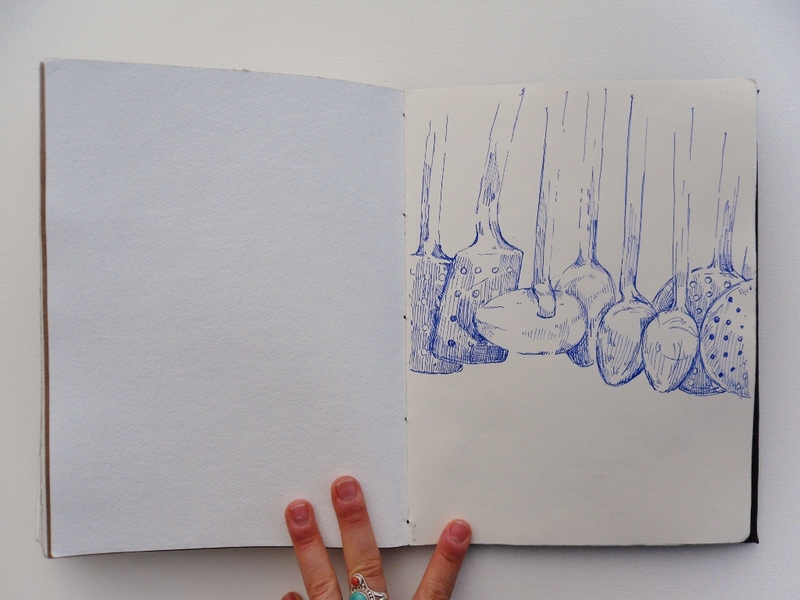 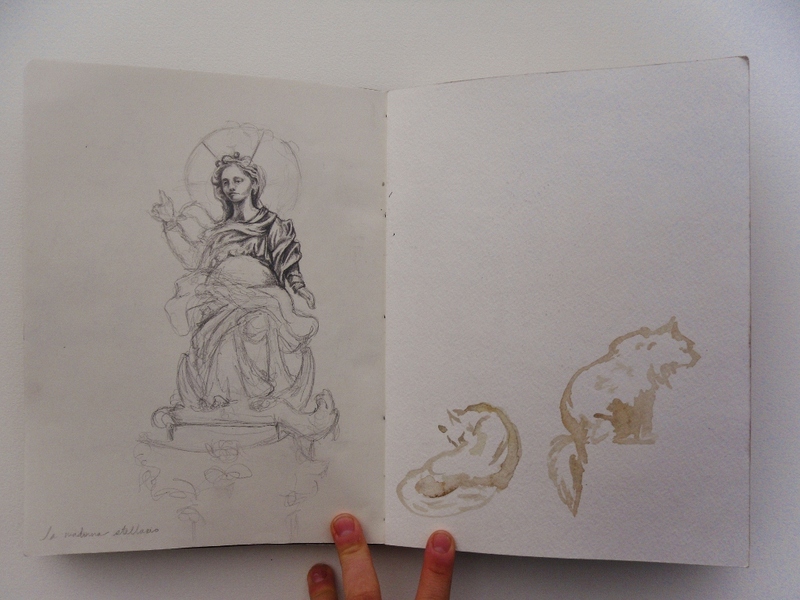 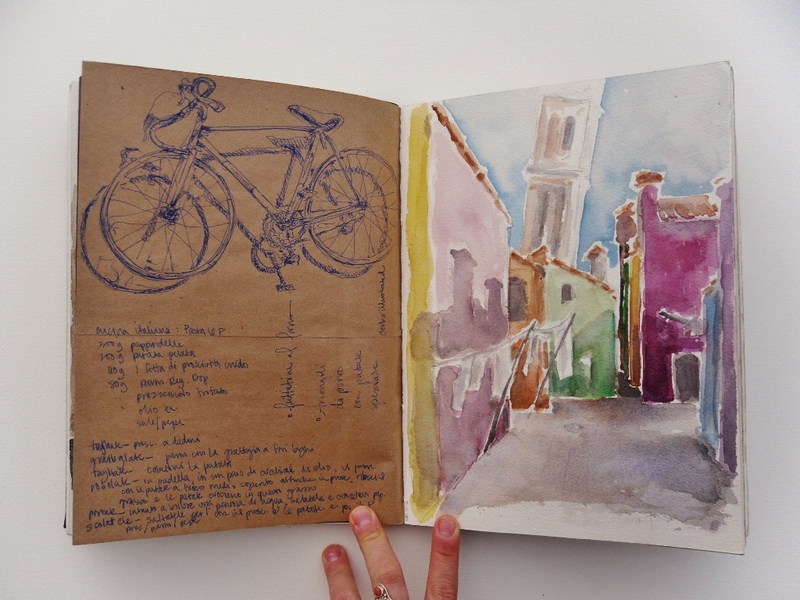 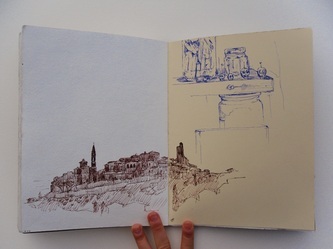 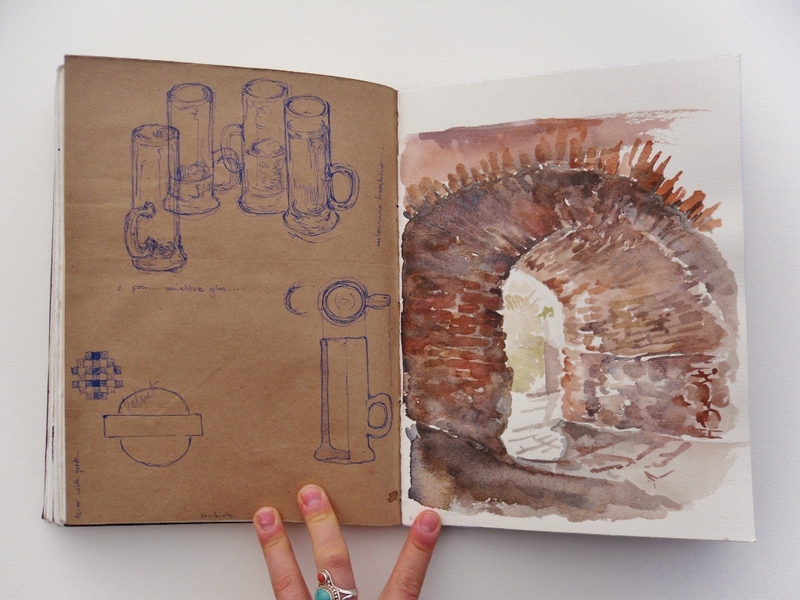 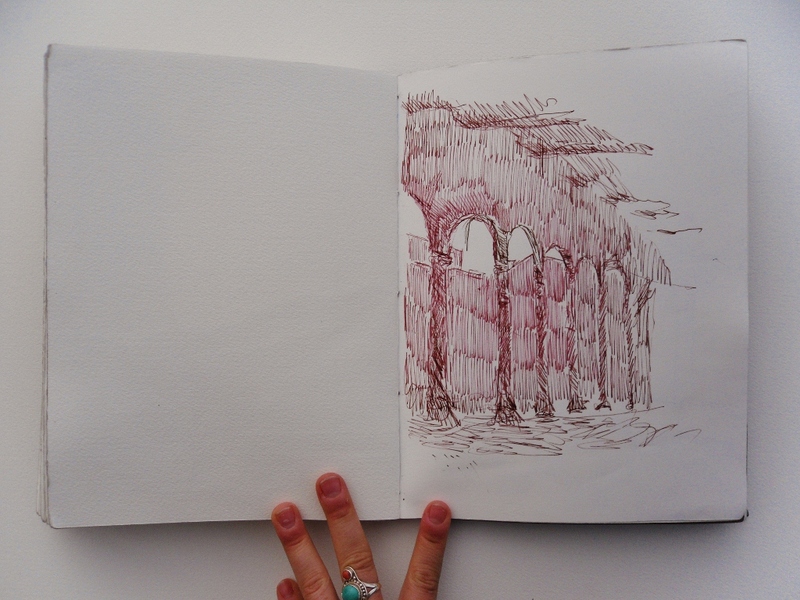 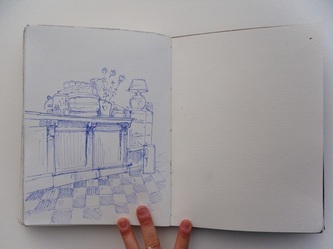 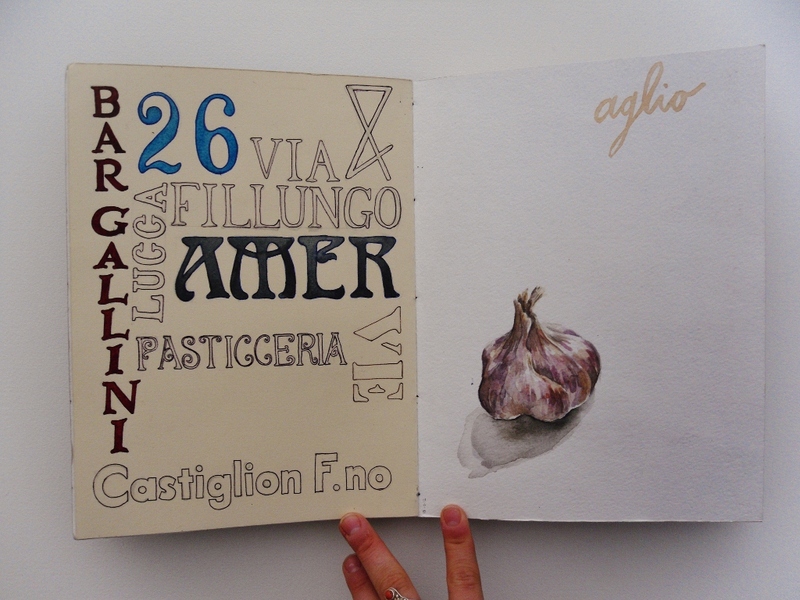 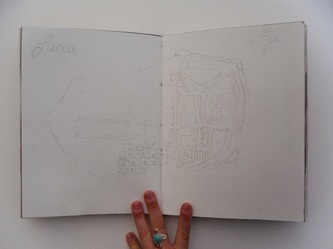 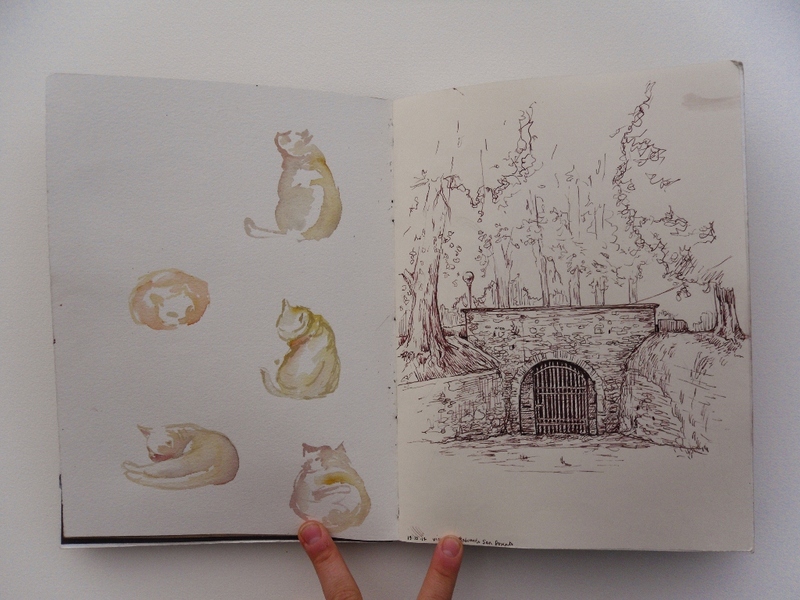 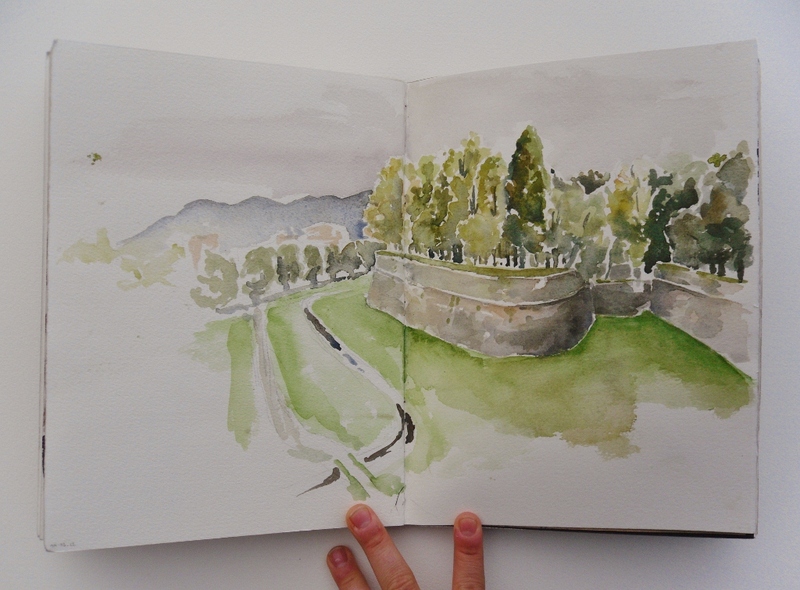 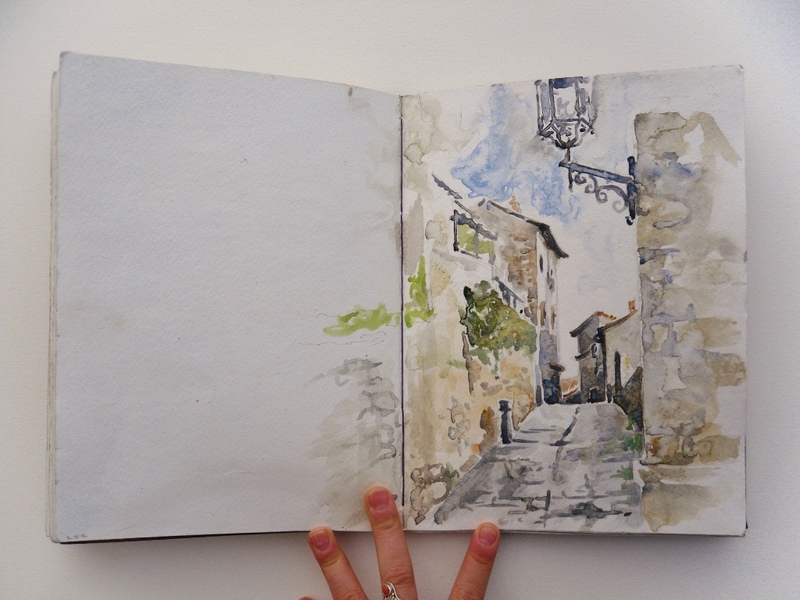 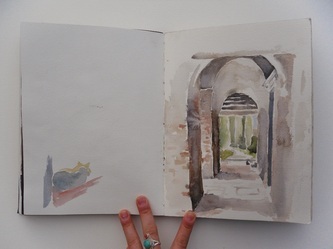 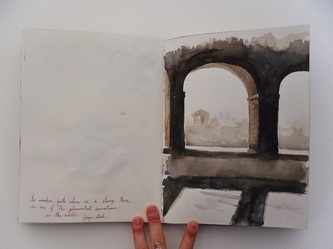 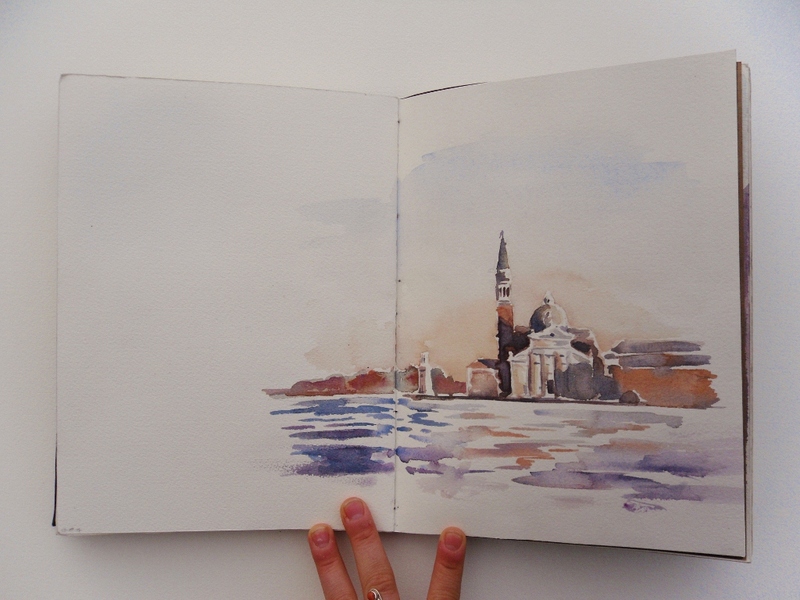 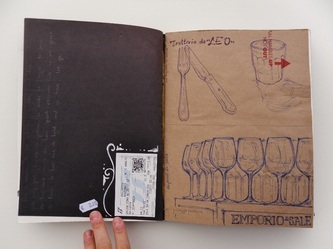 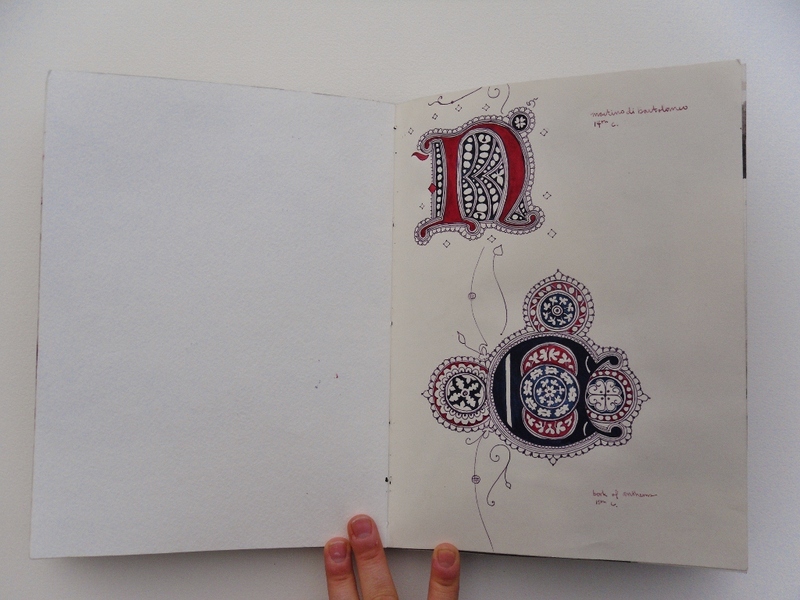 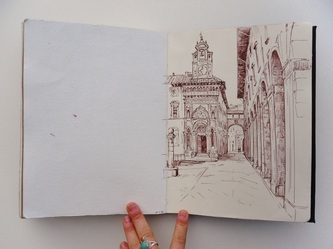 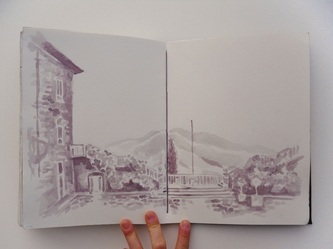 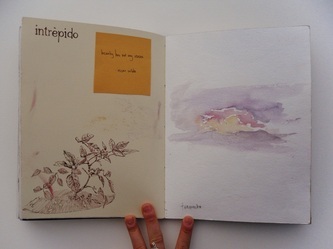 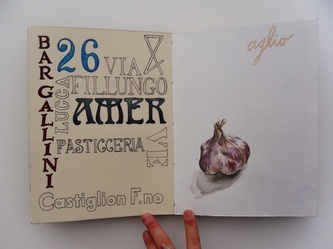 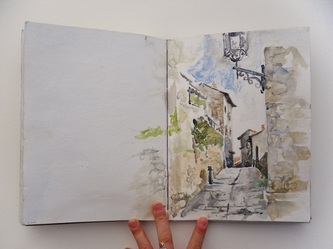 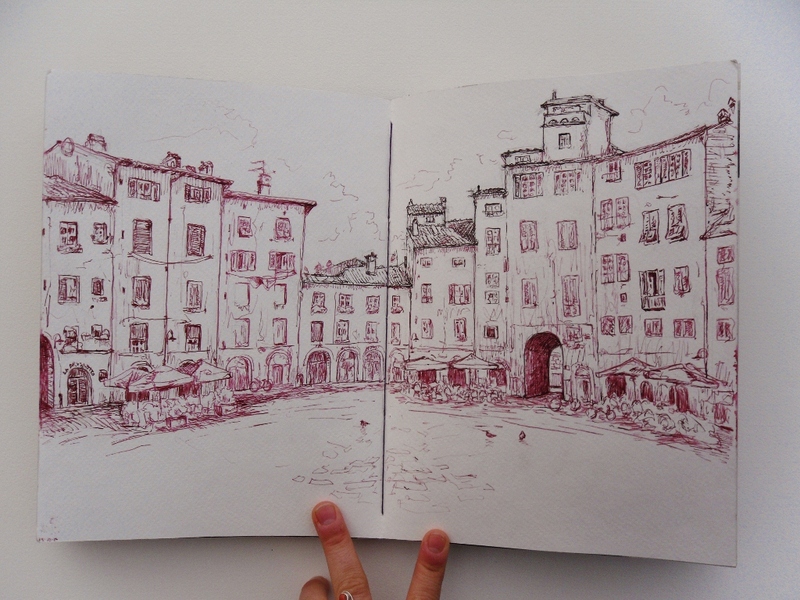 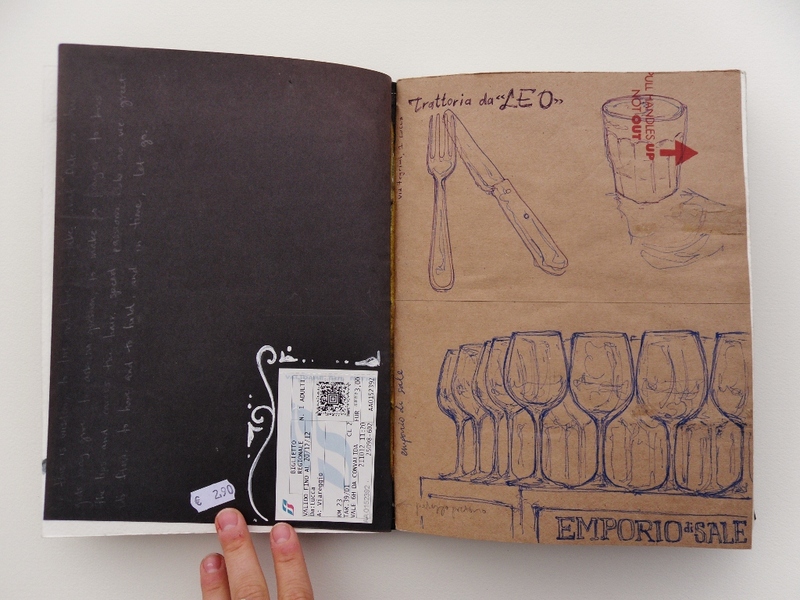 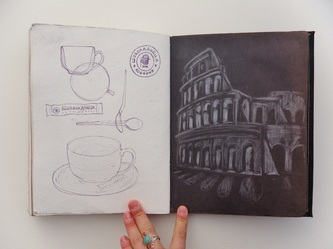 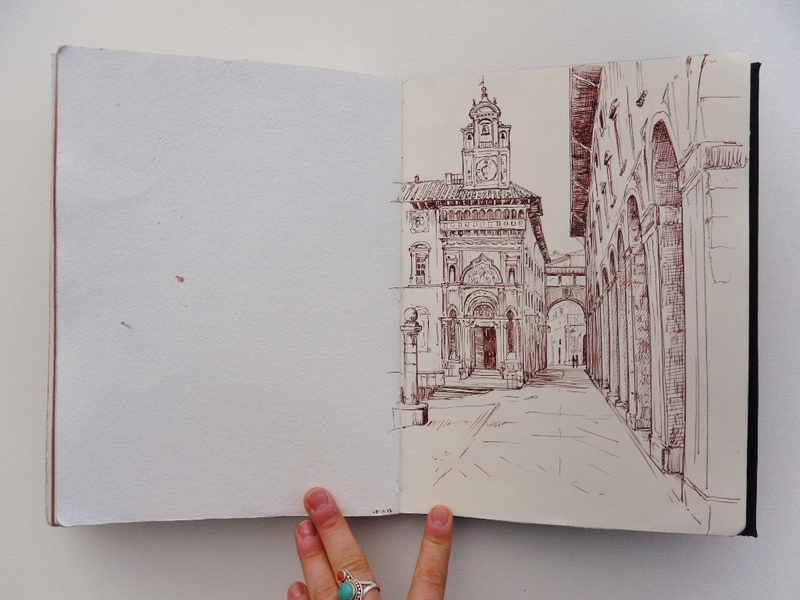 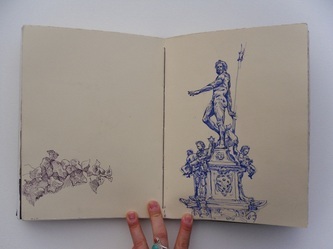 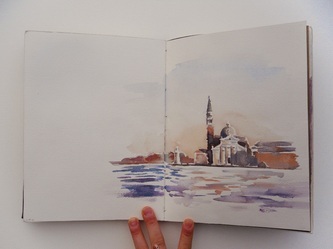 The plan was to fill the entire sketchbook within the 6 weeks of my trip to Italy, October 12 - November 20. This was my first time back in Italy after living there for nearly 2 years then having a 10 month break in California. 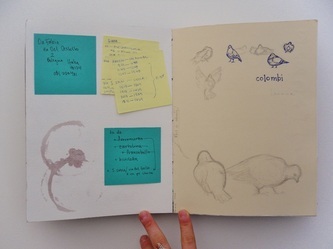 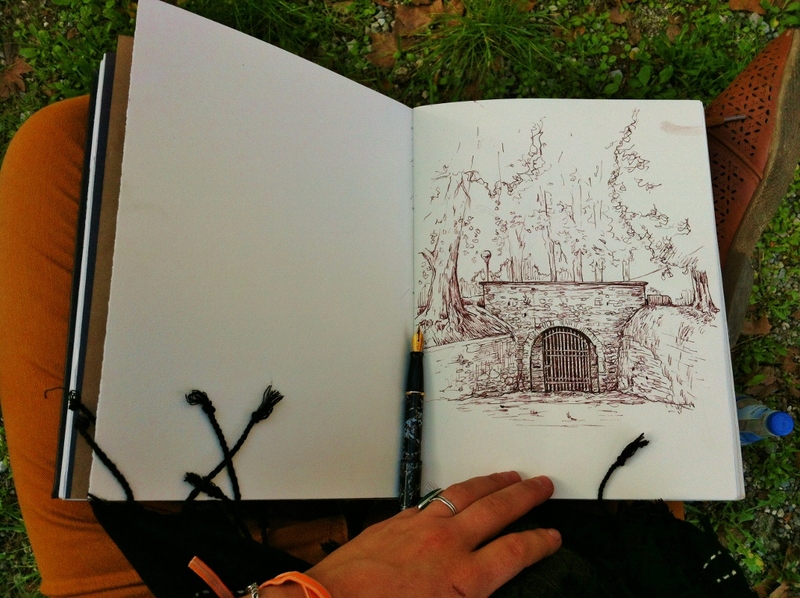 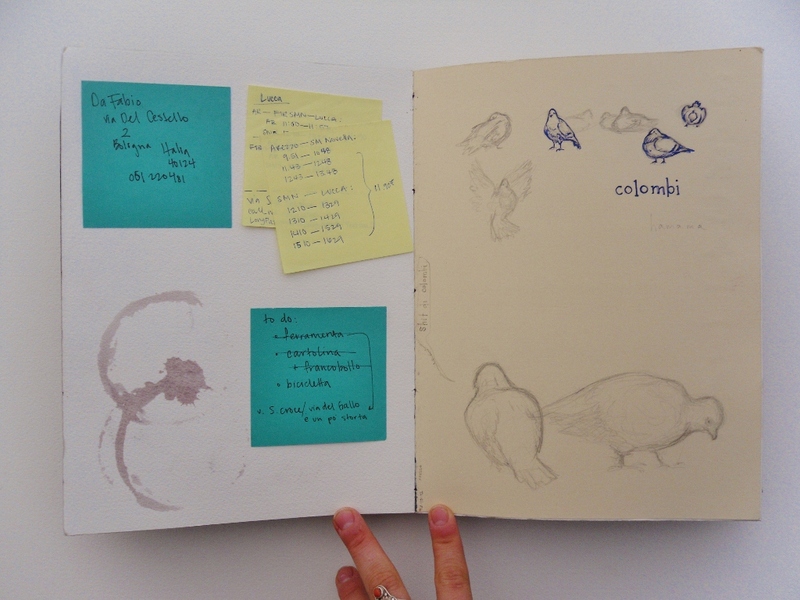 I made the sketchbook specifically for the trip and named it Terzo since it would be the 3rd sketchbook I have taken with me on a journey through Italy. I was going to be living in Lucca but also making visits back to my original Tuscan home in Castiglion Fiorentino. 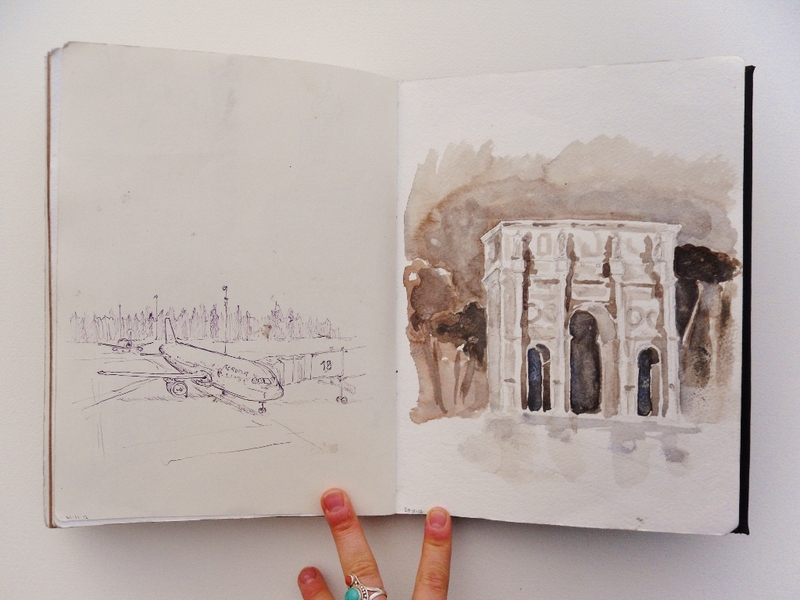 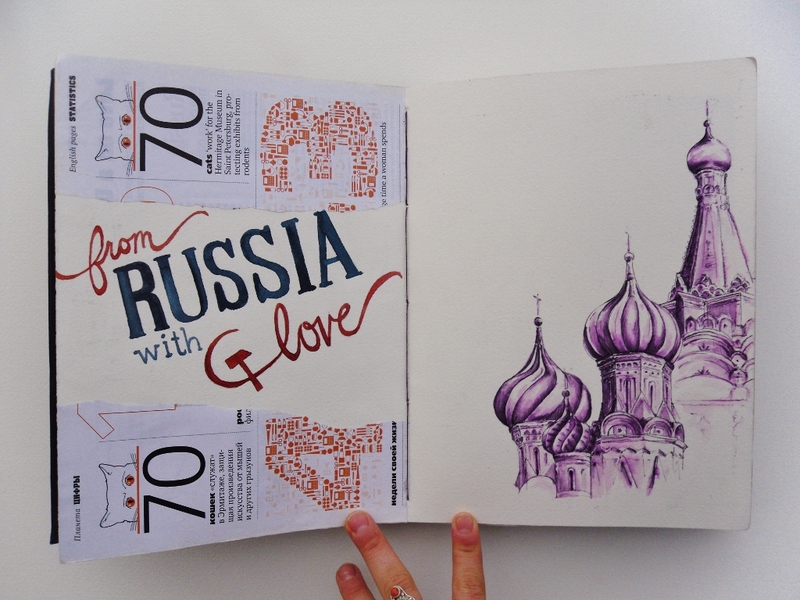 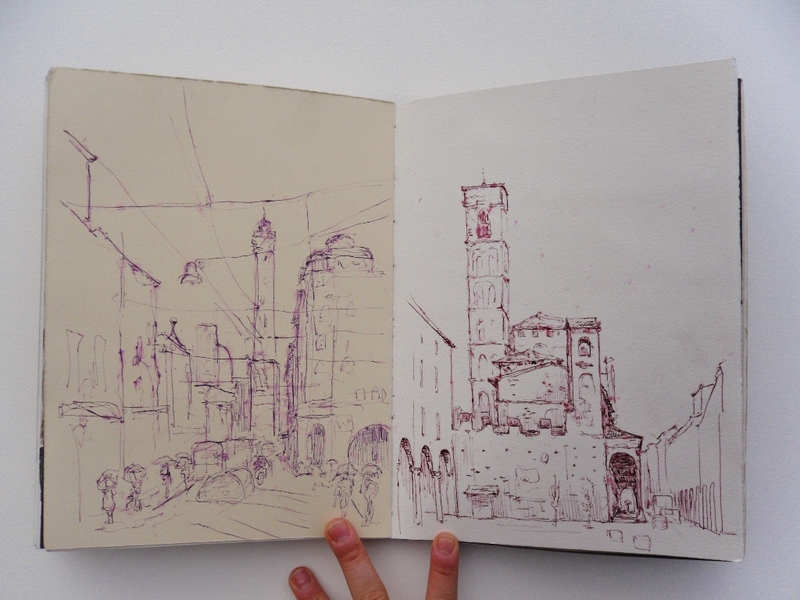 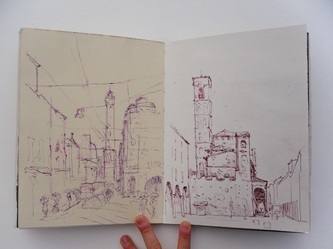 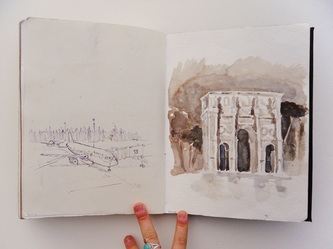 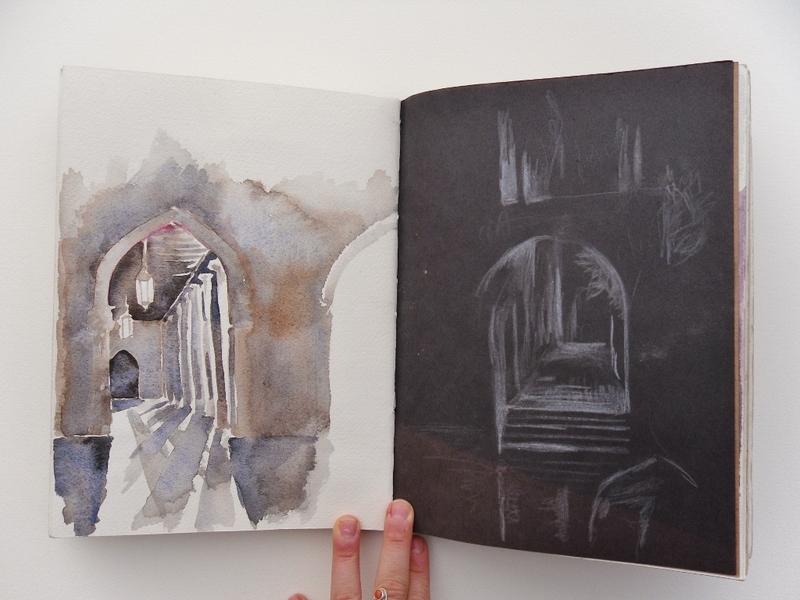 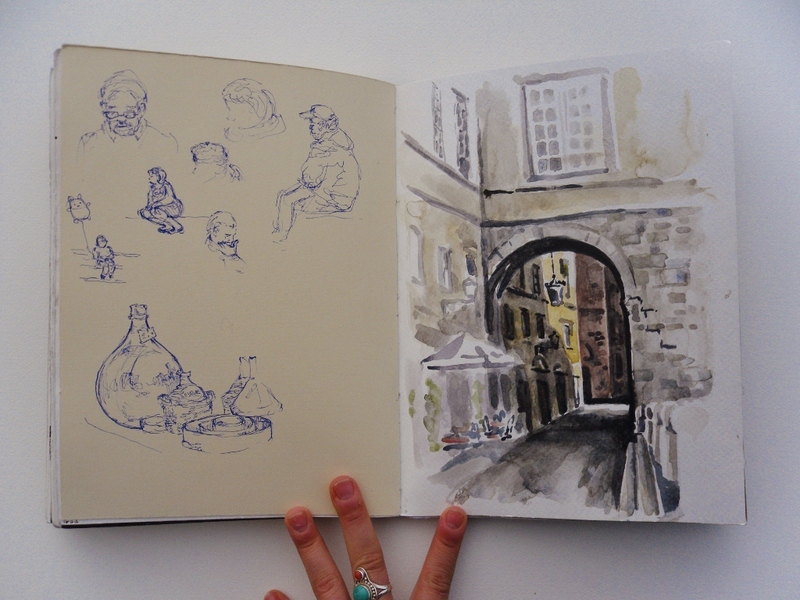 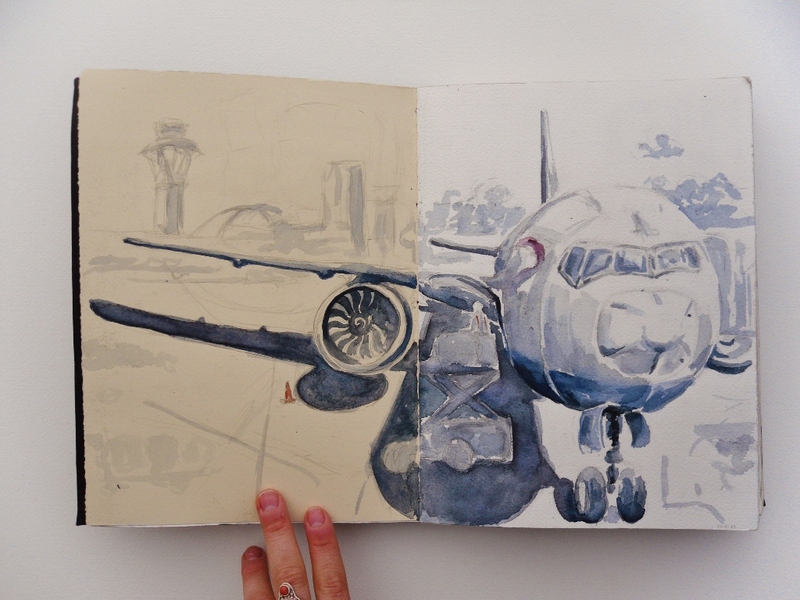 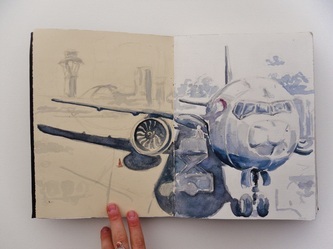 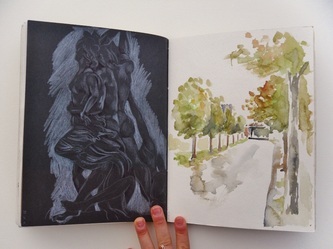 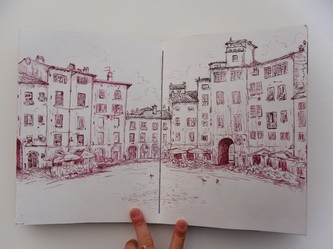 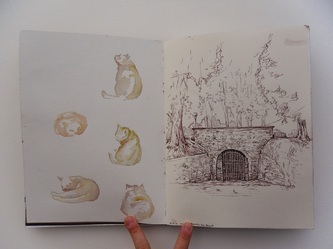 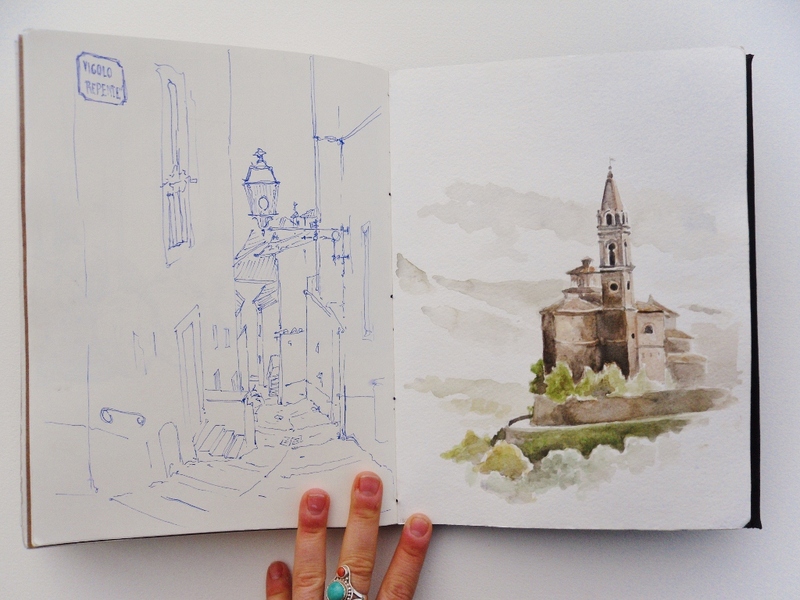 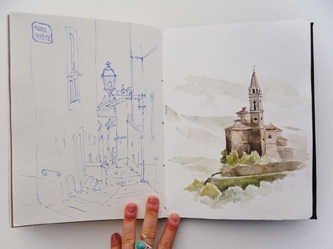 With a stop in Moscow, day trips around Tuscany and many other adventures that came along, it was a great trip that brought plenty of beautiful places and moments to sketch and fill this beast of a sketchbook. 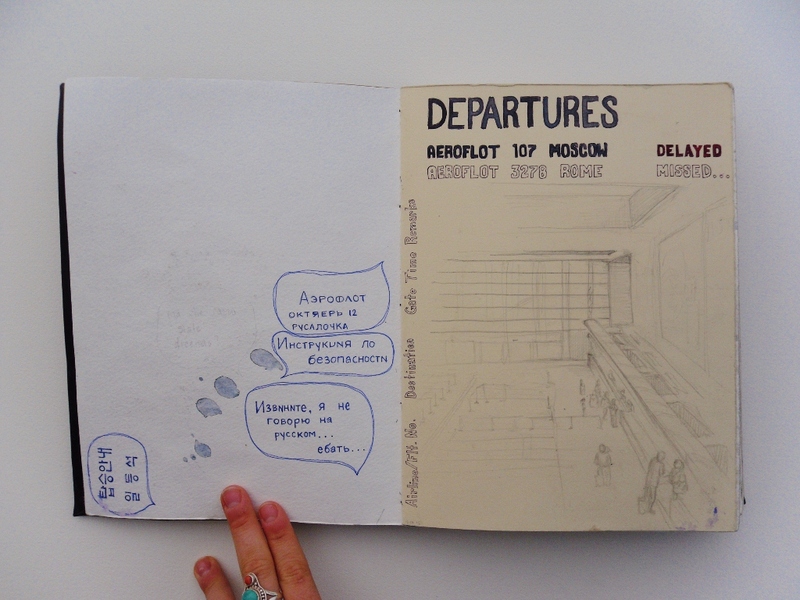 I was updating my blog of it's progress all along the way with anecdotes of our adventures and photos as well. 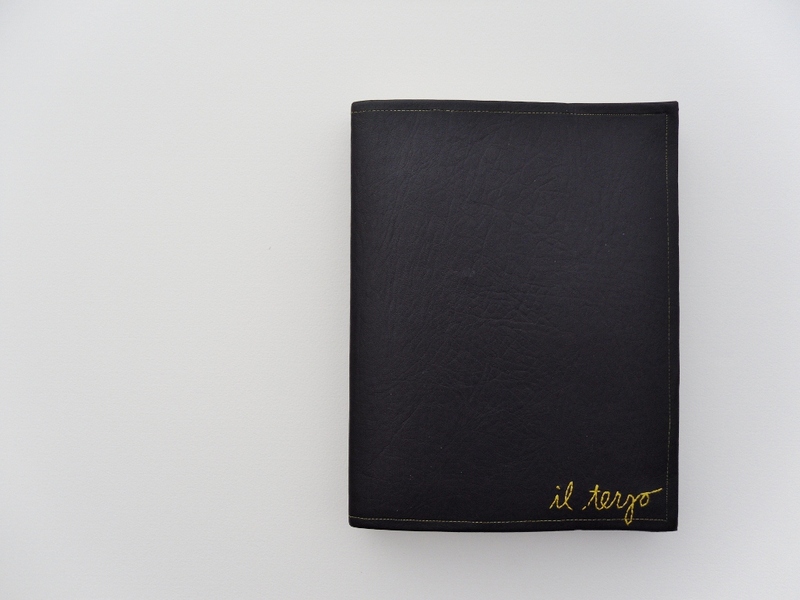 These are the final photos of Terzo, taken after I returned to the states. 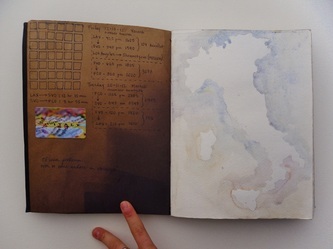 While working in Terzo, I jumped around from page to page to accommodate the medium that was needed at that moment, that particular little corner of page that was still empty or just simply because. 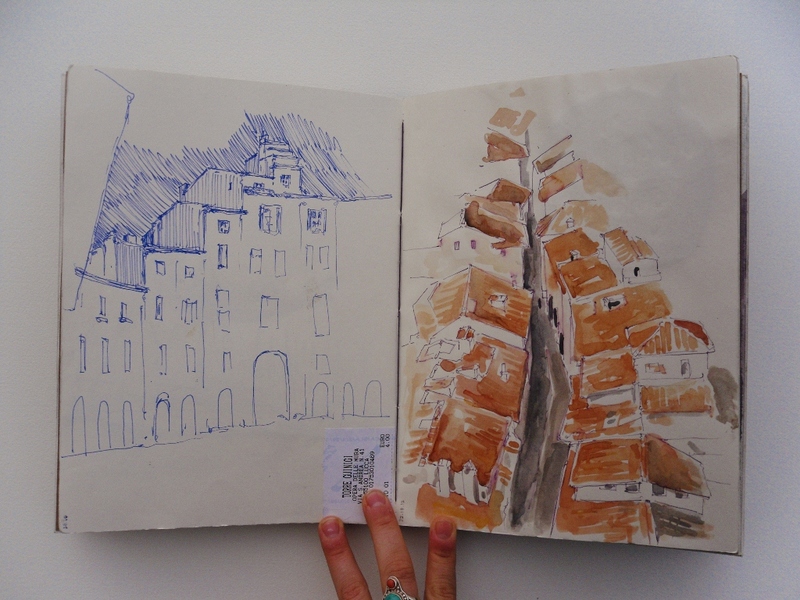 Working non sequentially was very strange but I love the sometimes haphazard results even more.